Susceptor heating is a poplular induction heating process. A susceptor is a conductive metal material that is used to transfer heat to another piece of metal or non-conductive material. 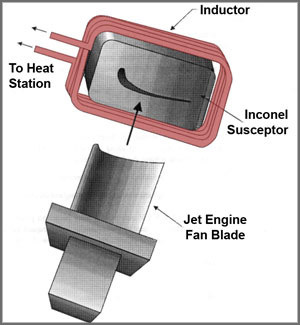 Susceptors are often made from graphite because it is highly resistive and very machinable, or alternatively from stainless steel, aluminum, or other materials.